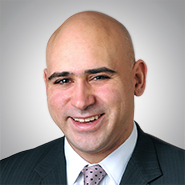 CHICAGO, ILL. — The national law firm of Quarles & Brady LLP today announced that Joel V. Sestito has joined the firm’s Chicago office as a partner in the Real Estate Practice Group. "We are pleased to have Joel join our Real Estate Practice Group," said Ted Yi, Chicago Office Co-Managing Partner and Real Estate attorney. "He brings extensive real estate and commercial transaction experience that will serve as a great addition to the team." Prior to joining the firm, Sestito was a partner at Ginsberg Jacobs LLC. He represents financial institutions, investors, private equity funds, REIT’s and individuals in all matters related to real estate and commercial loan transactions. As to both real estate and commercial loans, Sestito represents lenders during all stages of the loan process including the negotiation and documentation of new loan transactions, the workout and disposition of troubled loan assets and the exercise of various creditor’s remedies. In his lending practice, Sestito represents clients with respect to secured and unsecured single lender and syndication loans, revolving lines of credit, mezzanine loans, A/B loans and securitized loans. He also represents both buyers and sellers of both performing and non-performing loan assets. Outside of his finance practice, Sestito represents developers, financial institutions, private equity funds and REIT’s with the financing, acquisition and disposition of various real estate assets including multifamily, retail, office and industrial properties. He received his LL.M. from Georgetown University Law Center, his law degree from John Marshall School of Law and his undergraduate degree from the University of Richmond.